Here at STRONG ROOTS, we like to spice up our recipe’s from time to time. 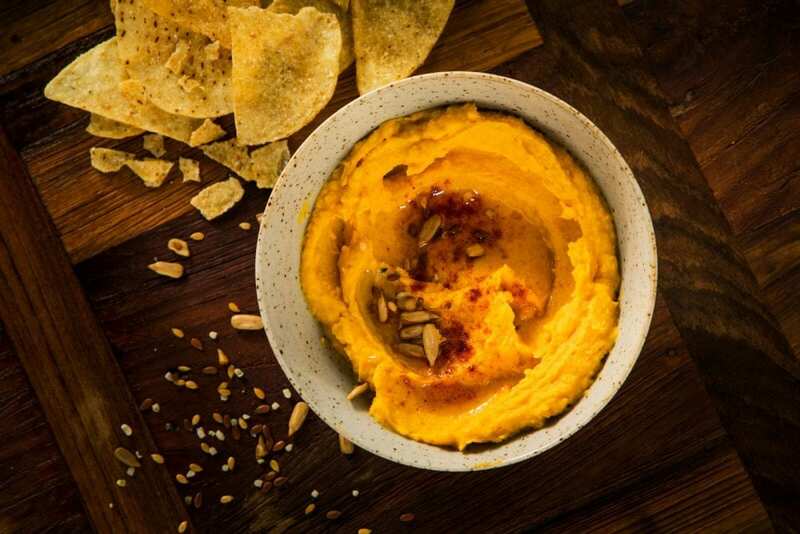 So we’ve concocted a hummus recipe using smoked paprika with our Oven Baked Sweet Potato Fries! It’s radical but it works, plus it tastes delicious. It’s the perfect accompaniment for crudités, tortilla chips or as a topping on our Kale & Quinoa Burgers! Just follow our simple step by step recipe below and let us know how your hummus turned out in the comments below. Arrange the Oven Baked Sweet Potato Fries on a single layer on an oven tray and bake for 23 -26 mins. Leaving out the olive oil and sunflower seeds, combine all of the ingredients in a strong blender until smooth. Add more water if the hummus is too thick. Serve with drizzled olive oil and sprinkled seeds.